Get years of comfort—years of savings with the year’s best offer. Installation and Claim submittal must be completed by December 15, 2018 by 6pm CST. 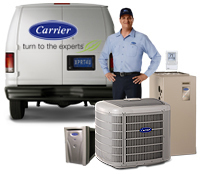 Homeowners may qualify for a Cool Cash rebate by purchasing qualifying Carrier equipment between August 27, 2018 and November 15, 2018. Equipment must be installed and claim submitted by December 15, 2018, by 6 p.m. Your Carrier expert must be a participating Cool Cash dealer. We provide Heating, Cooling, Furnace & Air Conditioning Installation, Repair & Maintenance in Huntington Beach, CA and the surrounding area.